Calculators, chalkboards, grid paper, boxes, cups, and more. 1-ply bond. 2.25 inches wide. 150 feet long. 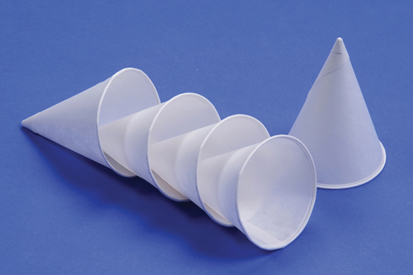 Use these paper cups to illustrate volume activities and more. 200 cups per box. Magnet with hook. May be used to hang pocket charts. Includes 2 hooks. Please see Safety Warning 5. Class set includes ten 11 x 7.75 inch whiteboards, ten nontoxic whiteboard pens, and ten small erasers. This small motor is ideal for science experiments. Operating range 1.5 to 3.0 volts; shaft diameter 2mm; outside dimension 24.2 mm. Package contains five motors. Versatile double-sided write on/wipe off 18 x 12 inch white magnetic panel with grid lines on one side. Photo shows possible uses; specific manipulatives not included. Large bulb transfer pipette. Graduated 0.50 to 3 ml. 1 oz. paper portion cups. 250 per package. One pound assortment of 5 colors and 5 sizes. Approximately 500 bands per bag. This is the perfect small solar panel for applications with younger students or non-technology classes. No soldering is required. Clip the panel's leads to the motor terminals and the solar application is ready. Includes five solar panels. Includes 10 plastic spinner arrows (2.38") and 10 binding screws. Assembly instructions provided. Please see Safety Warning 8. Heavy duty 2.5 x 4 inch, 20 mil, clear PVC base; 1 and 3/4 inch plastic spinner. Includes 15 spinner overlays. Heavy duty 2.5 x 4 inch, 20 mil, clear PVC base; 1 and 3/4 inch plastic spinner. Includes 1 spinner overlay. 8-digit calculator with four basic functions plus percent, square root, sign change keys, and automatic constants. Solar powered. Manufactured by Texas Instruments. One box of approximately 2,500 flat toothpicks. 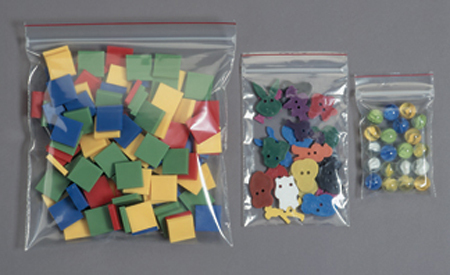 Great for manipulative storage. 8 x 8 inches. Sold in sets of 100. Sample bag pictured on the left. Manipulatives not included. Great for manipulative storage. 4 x 6 inches. Sold in sets of 100. Sample bag pictured in the middle. Manipulatives not included. Great for manipulative storage. 3 x 4 inches. Sold in sets of 100. Sample bag pictured on the right. Manipulatives not included.